In large volume and intricate supply chains where forecasting and planning can be complex, cost control, flexibility of service and visibility are critical to ensure availability of products in store – on time every time! As a leading transport company, our physical distribution and logistics solutions are designed to meet these crucial demands in a highly competitive market place. Horizon seeks every opportunity to bring added value to customers’ supply chains. We bring together a portfolio of cost-effective and flexible single sourced solutions that span the globe, including Express Freight and Time Critical Movements. 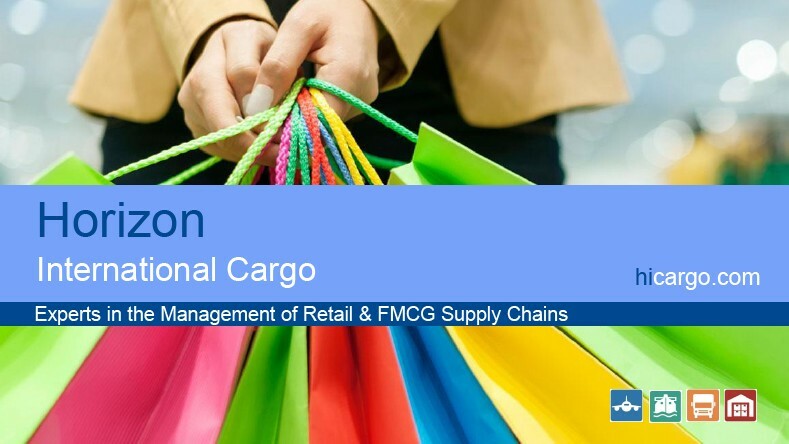 Our supply chain management solutions will support every Retail and FMCG project from beginning to end, from international logistics, systems solutions and distribution through to the final demands of in-store logistics. Within a retail supply chain visibility is essential and Horizon provides this through sophisticated and milestone-driven systems solutions that enable customers to manage purchase order status and progression, in-transit visibility and inventory. Their functionality enables these elements to be viewed and managed in a generic format through all stages. Transparency and traceability is assured at every level. The systems facilitate tracking and inventory management by Purchase Order, Unique Supplier Code, Model or Serial Number, Store Location or Customer and can further be designed and fine tuned to meet an individual customer’s requirements. KPI reporting and exception reporting tools are also incorporated into the system to enable our customers to concentrate on the key issues within their supply chain. Reducing cost is also essential and Horizon supports customers through initiatives such as Consolidation at origin (Vendor Management), bundling deliveries from different suppliers to a single customer, optimisation of containers, minimising LCL shipments and providing status reports. These are all key elements in the services we provide.